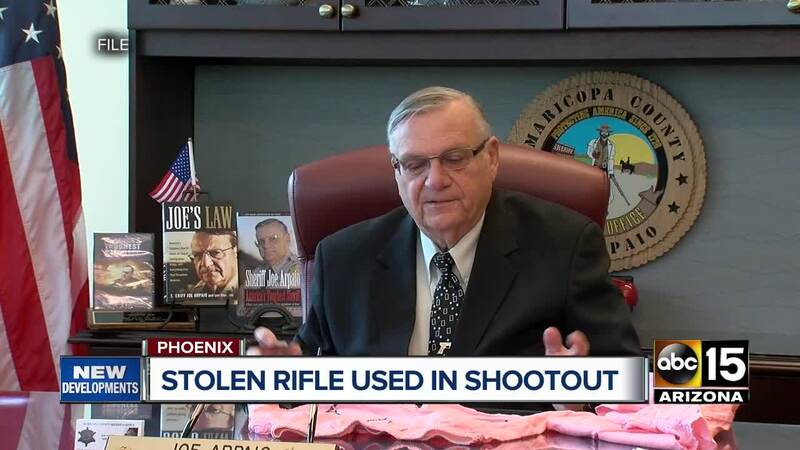 The Maricopa County Sheriff's Office is investigating to see how many guns may be missing from their storage. 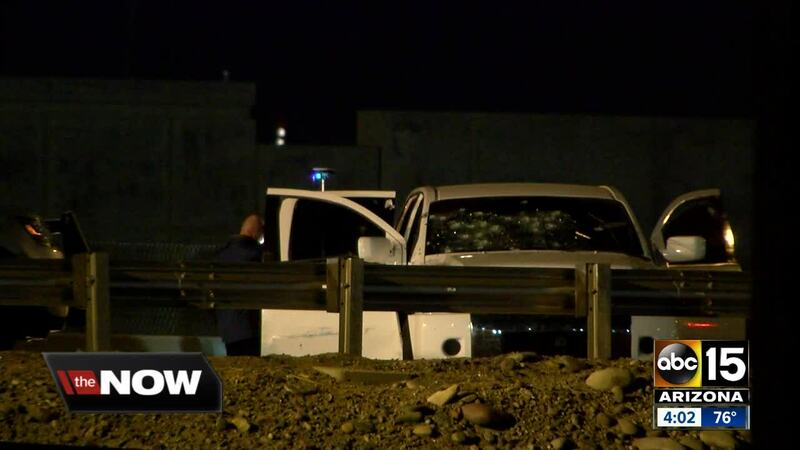 The Maricopa County Sheriff’s Office says the high-powered rifle a suspect used to shoot at troopers during a pursuit earlier this week belonged to MCSO. 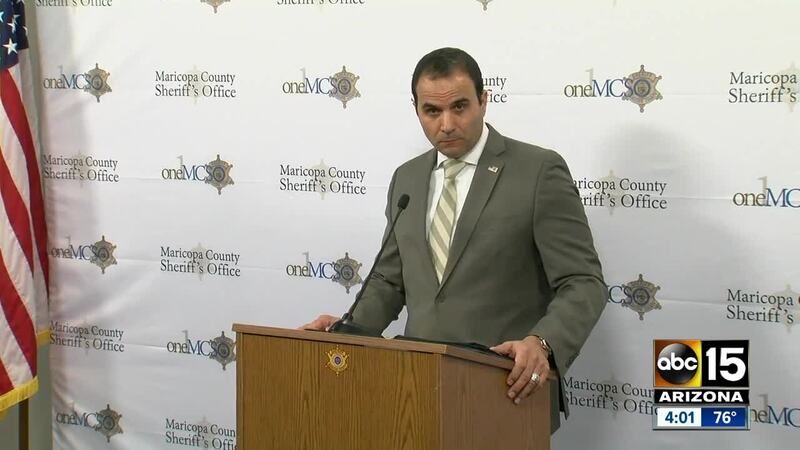 Weapons used in shooting (and about two dozen others) went missing from MCSO between 2010 and 2015, Penzone said. MCSO Sheriff Paul Penzone says the weapon was last known to be in MCSO's possession between 2010 and 2015. It's unclear how the gun went missing. Penzone said a total of 27 weapons are still unaccounted for, some of which are automatic weapons. "The fact that any dangerous individual in our community can acquire posses and use fully automatic weapons ....is unacceptable and intolerable," Penzone said. "Vaguely remember there were some weapons unaccounted for. I'm sure my staff looked into it and took whatever action necessary." - Former Sheriff Joe Arpaio. Phoenix police say on Monday Mesa police officers attempted to stop 27-year-old Arnaldo Caraveo for allegedly brandishing a weapon during an argument with someone. MCSO says they've had nearly 30 missing firearms from 2010 to 2015. There was an audit in 2016, Penzone said. Results were sent to ATF. Caraveo refused to stop and police initiated a pursuit. The pursuit ended after DPS troopers performed a pit maneuver on the suspect on the I-17 near 7th Street. Caraveo then opened fire on troopers, who fired back and ended the threat. 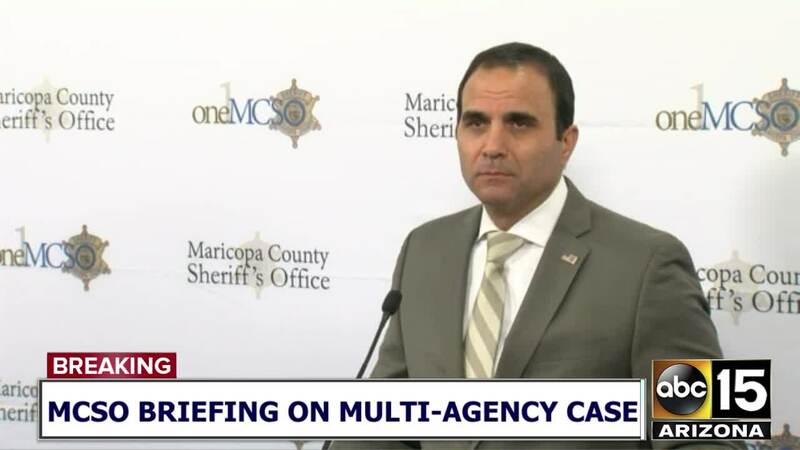 Sheriff Penzone said MCSO decided to call press conference and admit to lost guns because @ABC15 was working on report re: guns being tied to I-17 shootout. Penzone said he learned about tie Tues AM. I contacted MCSO at 1:30p for comment. Didn't respond. Instead called presser. Caraveo died at the scene. No troopers were seriously injured.